As we all know, director Wes Anderson doesn't trade in the conventional, and his latest film, Isle of Dogs, is quite possibly one of his oddest so far. A stop motion animation in the manner of his Oscar-winning Fantastic Mr. Fox, it tells the story of a group of canines who've been banished to Trash Island off the coast of Japan following an outbreak of 'dog flu'. Led by Chief (Bryan Cranston), this pack of mangy mongrels find new purpose when young boy Atari (Koyu Rankin) arrives on the island in search of his beloved pooch Spots (Liev Schreiber). What then ensues is a brilliantly offbeat adventure steeped in a love of Japanese culture, with everything from the films of Akira Kurosawa to sushi preparation getting a look in. The animation is as scrumptious as one would expect, with everything from the looming dystopian edifices of Trash Island to the dogs' wind-ruffled fur taking the breath away. The voice acting is sly and deadpan in the manner of Anderson's other movies, stuffed with a veritable host of A-listers including Edward Norton, Jeff Goldblum, Greta Gerwig, Scarlett Johansson and Frances McDormand. Anderson is also a director who places a great deal of emphasis on music, whether it's a love of classic rock (The Faces' 'Oh La La' in Rushmore) or the unconventional score collaborations he's enjoyed with Mark Mothersbaugh and Alexandre Desplat. 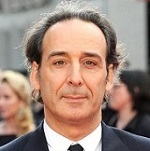 It's Desplat to whom he returns in Isle of Dogs, continuing a fruitful partnership that yielded an Oscar for The Grand Budapest Hotel. Whereas that score was buoyed by the beautifully nostalgic sound of Europe in times gone by (the balalaika and other specialty instruments featured strongly), the Isle of Dogs soundtrack is charged by completely different geography. It's quite remarkable how smoothly Desplat is able to jump between specific cultures and tones - little wonder he has swiftly amassed a reputation as one of the most versatile and modern composers of recent times. (His recent, second Oscar win for Guillermo del Toro's The Shape of Water has only reinforced that feeling.) That said, those fond of Desplat's lusher, more romantic scores may find Isle of Dogs a bit of a shock. It's far more akin to the surreal soundscapes of Fantastic Mr. Fox, throwing recognisable theme and melody to the wind in favour of all-encompassing texture. That said, there's no denying what the composer has conjured is likely one of the oddest, most idiosyncractic sound mixes of any film score in 2018, and for that it is to be applauded, meshing brilliantly with Anderson's characteristically strange vision. And after all, that is the primary role of any film composer. Describing the score in terms of tracks is much of a muchness. Although there are repeated motifs throughout the soundtrack, it's more about how the instrumentation binds everything together. The opening 'Shinto Shrine' (accompanying a delightful stop motion homage to Kurosawa's 1985 masterpiece Ran) is an almost liturgical choral piece, reminiscent of the pastiche choral work from Grand Budapest. But it's not exactly representative of the score as a whole. Instead, the score's pulse is reserved for the unmistakable taiko drums, which permeate every crevice of the soundscape in a variety of taps and pounds. When the drums unexpectedly fuse with laid back saxophone, triangle and piping clarinets, the music becomes even more compelling. There's a distinctly tongue in cheek sense to Desplat's music, the score amplifying the dry social commentary of the film itself while also riffing on the classic conventions of samurai lore and Western movies. The urgent taiko drums surge through 'The Municipal Dome' and merge with the jazz/clarinet ensemble in the amusing 'Six Months Later/Dog Fight' (where it makes a brilliant accompaniment to the film's slapstick fight sequences rendered via stop motion cotton wool clouds). There's more than a touch of Ennio Morricone's wryly comic sensibility from 'My Name is Nobody' in the snazzy 'Second Crash Landing', 'Nutmeg' and 'Toshiro'. The vocals return in the deliberately portentous 'Jupiter and Oracle', amplifying the mystery surrounding Atari's beloved Spots, whose role as 'dog zero' comes to play an increasingly important part. 'Sushi', 'Pagoda Slide' and 'First Bath of a Stray Dog' up the level of choral input, but it's in the final stages where Desplat really threads everything together. 'Kobayashi Canine-Testing Laboratory', 'Re-Election Night Parts 1-3' and 'End Titles' effectively sum up the soundscape of the score as a whole, summarising the taiko motif, the vocal undulations and the jazz. Just as important are the non-Desplat breaks in the score. Renowned New York-based musician Taoru Watanabe provides what are perhaps the most propulsive sections of taiko drumming on the soundtrack, thunderously exciting passages that featured in the film's trailer. Unsurprisingly given the film's debt to Kurosawa, 'Kikuchiyo's Mambo' from the revered Seven Samurai also features, alongside 'Tokyo Shoe Shine Boy' by Teruko Akatsuki (featured in anime classic Akira). Also making an impact is the dreamy pop of 'I Won't Hurt You' by The West Coast Pop Experimental Band and the jaunty 'Midnight Sleighride' by The Sauter-Finegan Orchestra (both of which are also featured in the trailer. Over the course of the last two decades, Alexandre Desplat's ability to adapt to different genres has seen him earmarked as Hollywood's heir apparent to the likes of Jerry Goldsmith. What really impresses is how Desplat's voice shines through in all the scores he does, even when recognisable melody is cast aside in favour of something far stranger. Isle of Dogs is a case in point: those willing to accomodate the composer's more eccentric side will find much to enjoy, although a casual listener will surely find it easier to admire the technique on display. Nevertheless, in terms of how it mashes up a multitude of different styles while also honouring Wes Anderson's vision, there's no denying Isle of Dogs is another triumph from this fine composer. 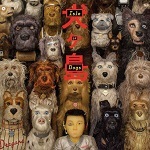 The "Isle of Dogs" film score album is available at these links: Amazon.co.uk or Amazon.com.